Like this story? 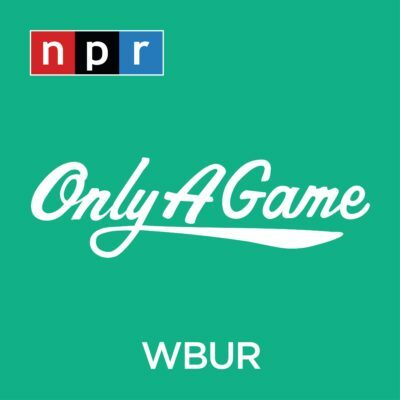 Sign up for Only A Game's newsletter and subscribe to the podcast. When Charles Barkley's mother, Charcey Glenn, passed away in June 2015, Barkley's hometown of Leeds, Alabama, came to the funeral to pay respects. But there was also an unexpected guest. Barkley’s friends couldn’t quite place him. He wasn’t a basketball player, he wasn’t a sports figure, and he wasn’t from Barkley’s hometown. Here’s what I can tell you about him: He wore striped, red polo shirts tucked into khaki shorts and got really excited about two-for-one deals. He was a commuter. He worked as a cat litter scientist in Muscatine, Iowa. In short, he was everyone’s suburban dad. More specifically, he was my dad. "You know, it was obviously a very difficult time," Barkley told me recently. "And the next thing I know, he shows up. Everybody’s like, 'Who’s the Asian dude over there?' I just started laughing. I said, 'That’s my boy, Lin.' They’re, like, 'How do you know him?' I said, 'It’s a long story.' "
The long story started four years ago. 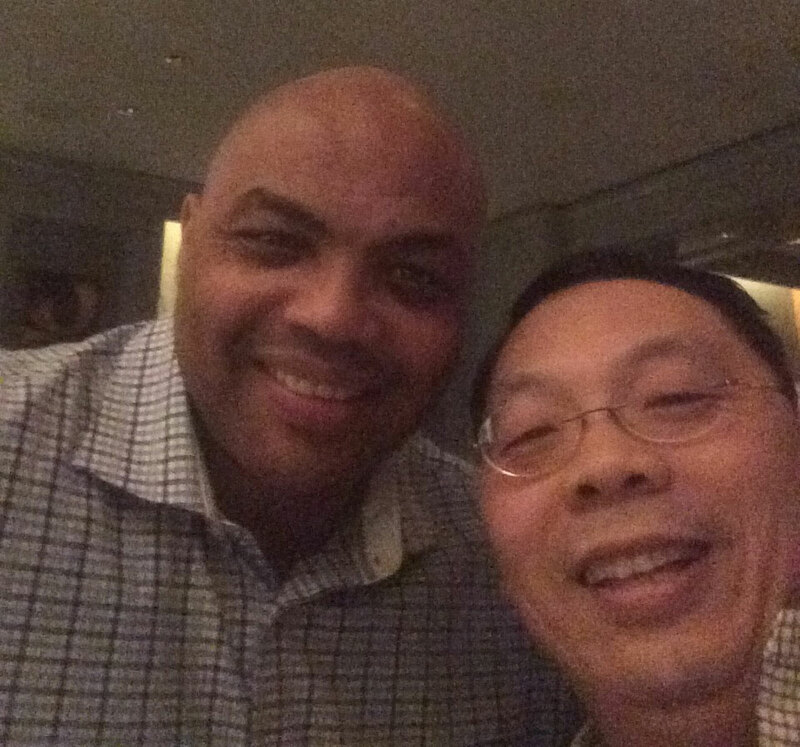 "You know, [Barkley] has a big personality," my dad, Lin Wang, told me last year, when I recorded him talking about Barkley. My dad told me that he knew about Barkley long before he met him. "Well, yeah, he's a top-50 player in the history of the NBA," he said. "For many years, he was the No. 2 guy, right after Michael Jordan." 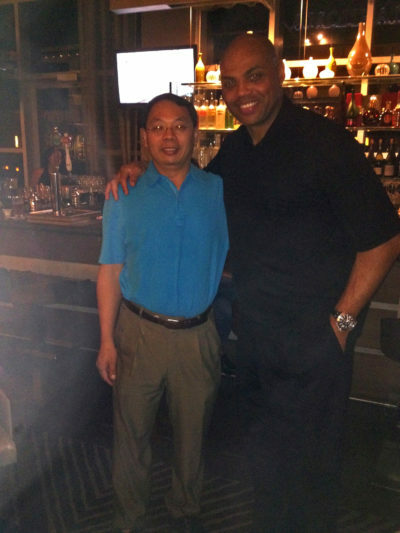 Whenever we attended dinner parties, my dad would talk about his friend Charles Barkley. The first time my dad told the story, I didn’t pretend to know who this person was. Basketball has never been my thing. Like a good millennial, I Googled Charles Barkley. He seemed pretty famous — and definitely not like anyone who would be friends with my dad. But again, as a good millennial, I knew that people have very loose definitions of the word "friend." 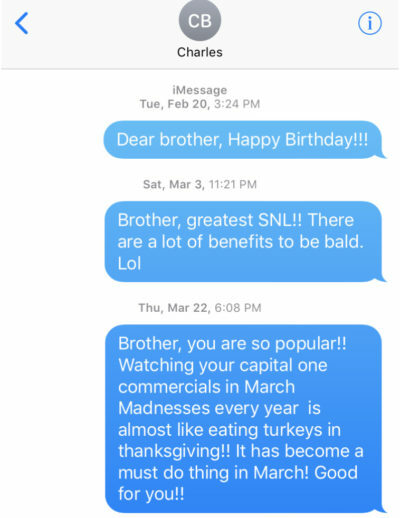 About two years ago, I asked my dad if I could see their texts. My dad handed me his phone. Their texts were mostly messages from my dad that ended with an excessive number of exclamation points. I told my dad the conversation seemed pretty one-sided and handed the phone back. As I talked about the relationship with more and more people, I began to think that either my dad was one of the luckiest basketball fans ever — or this whole thing was an elaborate joke, a "Dinner For Schmucks"-type situation. But no. The friendship was real. "It was, like, one of the most random things," Barkley recalled with a laugh. "I was on a business trip," my dad said, "and stayed in one of the hotels and was walking in the lobby, and I saw Charles Barkley." "I was in Sacramento speaking at a charity event," Barkley said. "So, I just went to say hi and take a picture with him," my dad said. "I was just sitting at the bar," Barkley said. "And me and your dad were the only two people in there. And we just sit down and started talking." "He's a super nice guy," my dad said. "And, before we know it, we looked at each other, like, ‘Yo, man, I’m hungry. Let’s go to dinner,’ " Barkley said. "It turned into a two-hour dinner. And then we actually went back to the bar and just sit there and talked for another couple of hours. And the rest is history." "Certainly, I told him I had a good time talking with him, hanging out with him," my dad said. "He said the same thing to me, and he left the phone number. He said, 'Whenever you're in Atlanta, New York City or Phoenix, check out with me. If I’m in town, we'll hang out and have a good time.' "
Over the next few years, whenever my dad was in those cities, he would text Barkley, and they would hang out. "I mean, it was just a fun time," Barkley said. 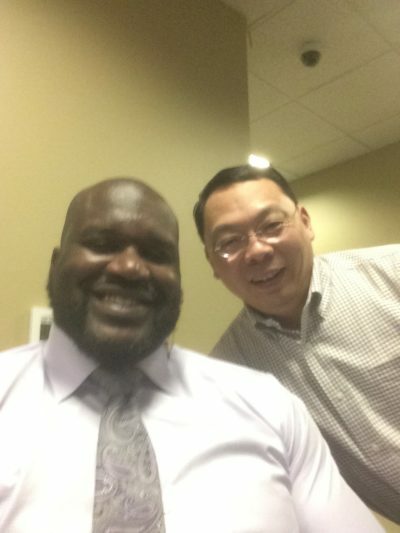 "My friends — Shaq, Ernie, Kenny — they enjoyed just meeting him." "I think I had Thai basil noodle," my dad recalled. "It was pretty good. I had it right inside the office." 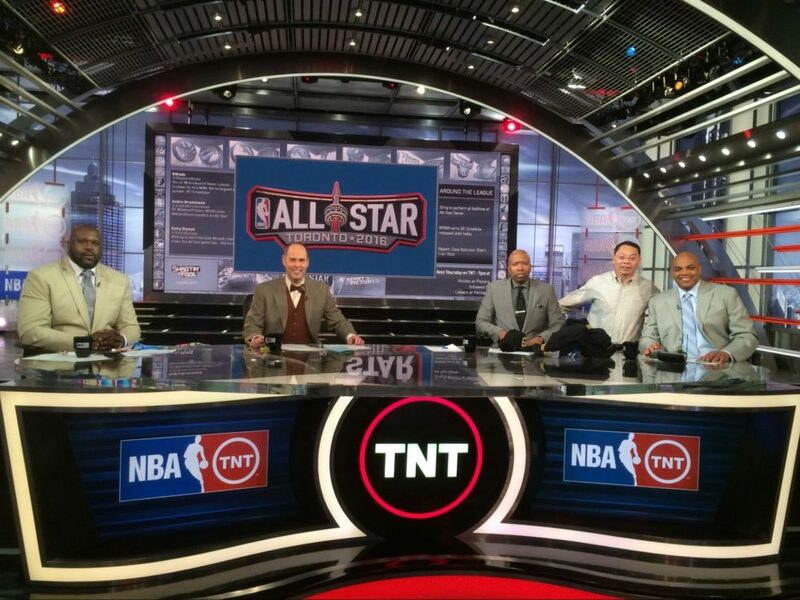 They spent time on the set of Barkley's TNT show, "Inside the NBA." "He likes to clean," my dad said. "There were several big can of cleaning wipes right on his desk. Every time he sit down, he cleaned his desk." "Iowa lost to Maryland that day," my dad said. I’m pretty sure they did some partying too. But that, I don’t know much about. "Your dad is one of the happiest people I’ve ever met in my life," Barkley said. "I’m not just saying that — I mean, think about it: It’s fun to be with your friends, you know? 'Cause, I don’t have that many friends that I want to be around, to be honest with you. I mean, you know a lot of people. But when you go spend time with your friends, it’s a whole different animal." Back home, my dad's coworkers would tease him about Barkley and ask him about the story all the time. My dad didn’t mind that they didn’t believe him. He even made a slideshow of photos of him and Barkley together for our community’s Chinese New Year celebration — totally irrelevant to the holiday. I asked my dad what he thought it was about him, of all people, that made him and Charles Barkley become friends. "I think we had a good conversation," he said. "We agree with each other [on] a lot of point of views. "You know, he grown up in the ’70s in Alabama. His father left him and his mother when he was little. He grown up with grandma and mother. And the grandma and mother cleaned up houses for somebody else to make a living. "Tough life for him. But he's well-respected professionally. And that's his story." In June 2015, Barkley's mother passed away. When my dad heard the news, he looked up the funeral details and hopped on a plane to Leeds, Alabama. "It ain’t easy to get to those places," Barkley said. "I’m from a very small town." And my dad showed up for his friend. Afterward, he went to dinner with Barkley and his family. "For your dad to take the time to come to the funeral meant a great deal to me," Barkley said. Then, in May 2016, my dad was diagnosed with cancer. He had tumors in his heart. I took that fall off from school. My dad and I watched mobster movies together. Action movies. Kung Fu movies. When the credits rolled, we’d flip to a basketball game. Just me and him, watching a lot of TV in our living room. Days passed by. Then months. Then, it was two years. My dad never told Barkley that he was sick. "I called him and got mad at him when I found out," Barkley said. "I was, like, 'Dude, we’re friends. You can tell me. You’re not bothering me. You know me well enough — if you were bothering me, I would tell you you were bothering me.' "
What Barkley didn’t know was that my dad watched him almost every night on TNT. And while he rested and healed, my dad was laughing along with Barkley. He kept my dad company. June 2018. NBA Finals. The Golden State Warriors vs. the Cleveland Cavaliers. My dad was staying in palliative care at the hospital. He loved the Warriors. I visited and read him sports highlights. He didn’t get to watch J.R. Smith’s late mistake in Game 1 live. I tried to get him to laugh about Smith dribbling away from the hoop because he thought his team was ahead. But it was a Sunday afternoon, and my dad was tired. The summer light filled his room. Then, the day faded, and dusk began to enter. Hi. This is Shirley. My dad just passed away. The funeral was the day after the NBA Finals. My dad’s favorite team, the Golden State Warriors, had won the night before. The funeral was set near the outskirts of Iowa City in a house by the woods. I was talking to my childhood friend when she suddenly looked stunned. I turned to look behind me. And standing there — drenched in sweat from the Iowa summer, towering over everyone in the room at 6 feet, 6 inches tall — was Charles Barkley. "I had not met anybody in your family," Barkley said. "I didn’t know anybody there." Everyone watched, astonished, as this man — this man we only knew from TV, this worldwide celebrity — walked down the aisle, looked at us and sighed. Later, after it all, I texted Barkley and asked him: "Why my dad? Why did he matter so much to you?" And recently, I called him up and asked: "What did you even have to talk about?" "Well, I think — first of all, clearly, he was a fan," Barkley said. "But I think the main thing we talked about was you and your brother." "What did you guys talk about — what did he say?" I asked. "I think it was more that he was proud," Barkley said. "Because I’ve got a daughter, too. I’m just really, really proud of her, because I think she’s a good person. And your dad was so proud of you and your brother. "Listen: As an adult — and you’re too young to understand this now — all you want is your kids to be happy. That’s what you work for. To give your kids everything in life." The more Charles Barkley and I talked, I realized just how close he and my dad were. Barkley knew so much about me and my life — even though this was the first time he and I had ever talked. "It gives me great memories and great joy to know that I was a friend of his," Barkley said. "Just hearing about him at the funeral — what he had accomplished and what he was trying to help other people accomplish, just made me even — I wished he bragged more about himself." "So, let me get this straight: you were impressed by him?" I asked. 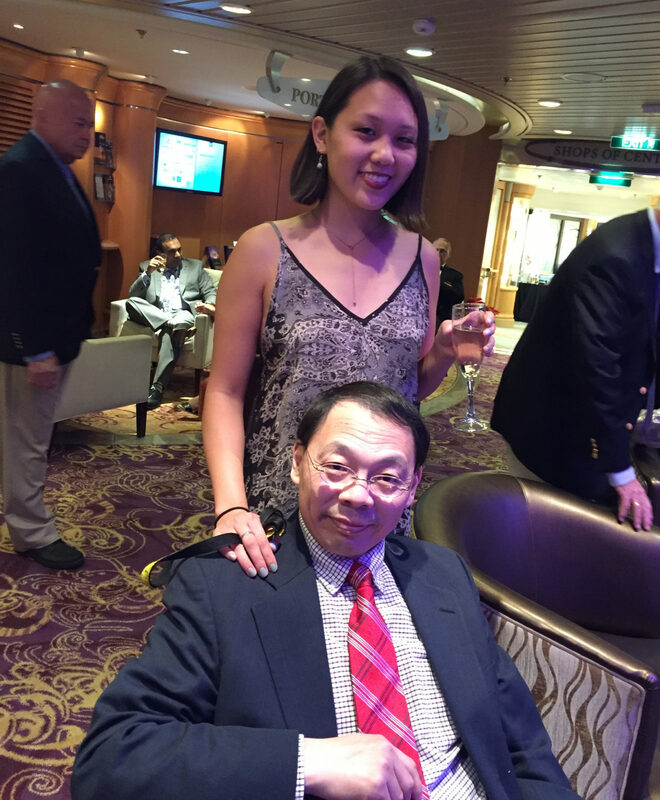 At the funeral, people shared memories of my dad and made me realize that, for example, he was not just a cat litter chemist — but an industry-changing scientist with a Ph.D. And not just an immigrant — but someone who reached out to Chinese newcomers. And not just a thoughtful guy — but someone people trusted for advice. I realized that, even after he passed away, I would continue to learn things about my dad. "Hey, listen. You stay in touch. Please tell your mom I said hello. Give her a big kiss. Tell your brother I said hello. And listen: Just keep doing you. It’s your time now. Don’t forget that. That’s the most important thing. "Your dad prepared you to take care of yourself. He prepared you for that. I was blessed to know him — and know you, too." "Thank you for your time," I said. "You're welcome, baby. You take it easy, you hear?" I’m so glad that now I get to share my dad’s No. 1 dinner party story. Shirley Wang is a freelancer journalist who has published work for Popula, The Little Village, Metro U.S. and WGBH News. She can be reached at shirley.wang5615@gmail.com, and you can find her on Twitter @shirleyshirlw. 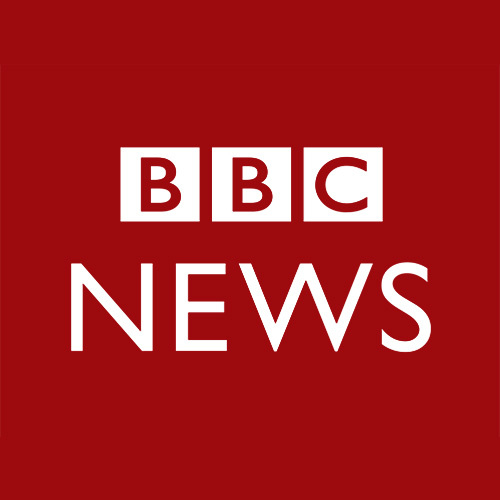 This segment aired on December 15, 2018.